Seaside Heights is expected to join a small number of Jersey Shore towns that will adopt a “no wake” ordinance – on land. The phrase “no wake” is well-known to boaters, who are expected to slow to idle speed in designated areas marked by buoys emblazoned with the term. Wakes create problem on land too, Mayor Anthony Vaz said at a borough council meeting Wednesday, and the town plans on crafting an ordinance and telling police to strictly enforce it. Land-based “no wake” ordinances are somewhat common in Florida, where public works officials or police officers set up warning signs in flooded areas after torrential rains or particularly high tides. In Virginia, the state legislature enacted a law expressly enabling municipalities to create no wake zones. The practice is less common in New Jersey, but not unheard of. Last year, Ship Bottom, on Long Beach Island, adopted the ordinance. The announcement drew a few supportive cheers from residents at the meeting. Anthony Vaz said Bay Boulevard and the Boulevard business districts are the most-affected streets in town. 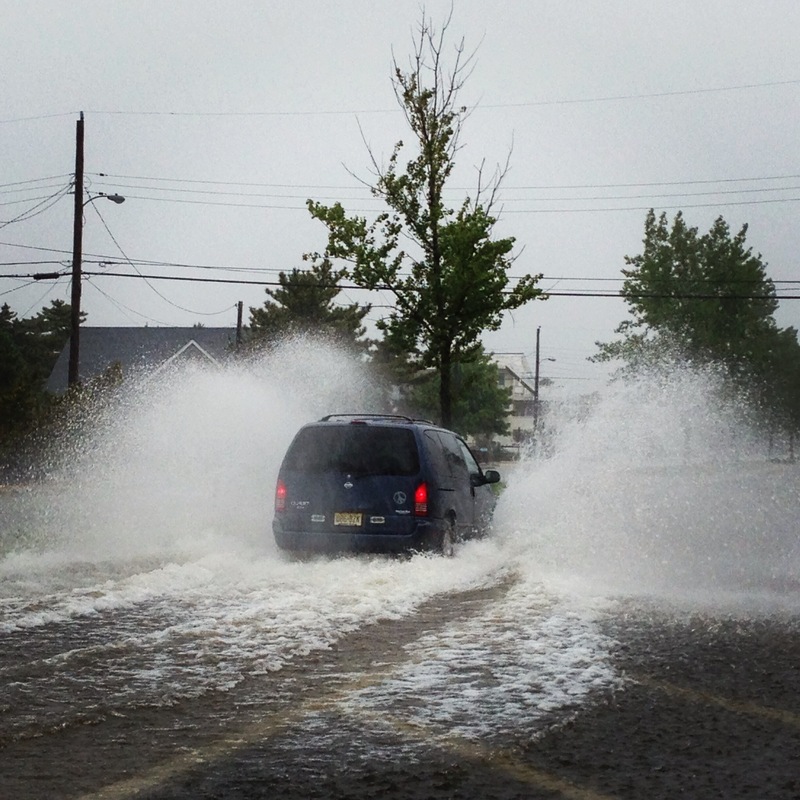 Borough officials have tried to calm traffic on flooded roadways in the past, employing numerous tactics, but some motorists – often those in four wheel drive vehicles and trucks – drive through anyway. “We try our best – we put out deuce-and-a-halfs, we post policemen, but as soon as they go away people do whatever they want,” he said, pledging things will soon be different. “We’re going to have signs put up and a fine will be given,” said the mayor.